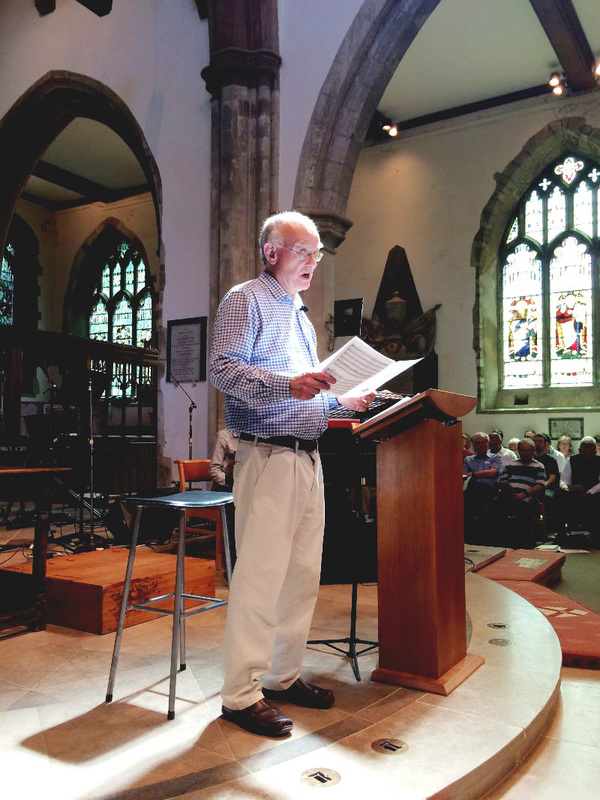 The Friends of St Mary’s Church Sundridge are very pleased to announce that John Rutter is coming to Sevenoaks again for a Come and Sing day. John Rutter is probably the world’s most important living choral composer and very much in demand, as you might expect. We are very excited and delighted that he has accepted our invitation for the third time. The date is set for Saturday 14th September 2019 and the Singing Day will be held at St Nicholas Church, Rectory Lane, Sevenoaks TN13 1JA. Registration is from 10.00am, the singing starts at 11.00am sharp and finishes around 4.45pm. Tickets for this amazing event are £20.00* and include use of all the scores required for the day, tea and coffee at the lunch and afternoon breaks. Lunch is not included but you are welcome to bring your own. There will be a selection of John Rutter's scores and CDs for sale on the day for which we do accept credit and debit card payments. Tea and coffee will be available from 10.00am to 11.00 at £1.00 per cup. Tea and coffee for the lunchtime and afternoon breaks is free. Booking by Post. If you do not have access to the web or prefer not to make payments over the internet please send a cheque made payable to The Friends of St Marys Chuch, Sundridge to Richard Dunckley, White Sheiling, Dry Hill Lane, Sundridge, Sevenoaks, Kent TN14 6AA. Please include telephone numbers, names and voice parts of the singer(s) and a self addressed stamped envelope so we can post the tickets. We request a telephone number for emergency use only, if the event needs to be cancelled at the very last minute or to keep you informed if there are any last minute changes which we feel will impact on your day. Your data is not and will not be shared with any other organisation and you will not receive any marketing telephone calls from the Friends of St Marys Church, Sundridge. Admission is by ticket purchased in advance only, there will be no tickets for sale on the door. Very much hope to see you there, I know it will be a wonderful day!! *There is a booking fee of £2.00 per booking (not per ticket), this covers the payment we make to the company who manages the bookings. If in the unlikely event that the sing day is cancelled all of the money paid, including the booking fee, will be refunded in full. We regret that we cannot refund money for any ticket that is cancelled by the singer but the ticket can be passed on, ideally we would be given their name, voice part and email so we can update the records and where possible reissue a ticket in their name. Once the event is sold out we may have a list of people waiting for a ticket, under that circumstance we will resell the ticket on your behalf but will not be able to refund the booking fee.